We have already spoken, in the first chapter, on the identities existing in all the religions of the world, and we have seen that out of a study of these identities in beliefs, symbolisms, rites, ceremonies, histories, and commemorative festivals, has arisen a modern school which relates the whole of these to a common source in human ignorance, and in a primitive explanation of natural phenomena. From these identities have been drawn weapons for the stabbing of each religion in turn, and the most effective attacks on Christianity and on the historical existence of its Founder have been armed from this source. On entering now on the study of the life of the Christ, of the rites of Christianity, its sacraments, its doctrines, it would be fatal to ignore the facts marshalled [Page 104] by Comparative Mythologists. Rightly understood, they may be made serviceable instead of mischievous. We have seen that the Apostles and their successors dealt very freely with the Old Testament as having an allegorical and mystic sense far more important than the historical, though by no means negating it, and that they did not scruple to teach the instructed believer that some of the stories that were apparently historical were really purely allegorical. Nowhere, perhaps, is it more necessary to understand this than when we are studying the story of Jesus, surnamed the Christ, for when we do not disentangle the intertwisted threads, and see where symbols have been taken as events, allegories as histories, we lose most of the instructiveness of the narrative and much of its rarest beauty. We cannot too much insist on the fact that Christianity gains, it does not lose, when knowledge is added to faith and virtue, according to the apostolic injunction. [II. S.Peter, i,5. ] Men fear that Christianity will be weakened when reason studies it, and that it is "dangerous" to admit that events thought to be historical have the deeper significance of the mythical or mystical meaning. It is, on the contrary, strengthened, and the student [Page 105] finds, with joy, that the pearl of great price shines with a purer, clearer lustre when the coating of ignorance is removed and its many colours are seen. There are two schools of thought at the present time, bitterly opposed to each other, who dispute over the story of the great Hebrew Teacher. According to one school there is nothing at all in the accounts of His life save myths and legends — myths and legends that were given as explanations of certain natural phenomena, survivals of a pictorial way of teaching certain facts of nature, of impressing on the minds of the uneducated certain grand classifications of natural events that were important in themselves, and that lent themselves to moral instruction. Those who endorse this view form a well-defined school to which belong many men of high education and strong intelligence, and round them gather crowds of the less instructed, who emphasise with crude vehemence the more destructive elements in their pronouncements. This school is opposed by that of the believers in orthodox Christianity, who declare that the whole story of Jesus is history, unadulterated by legend or myth. They maintain that this history is nothing more than the history of the life of a [Page 106] man born some nineteen centuries ago in Palestine, who passed through all the experiences set down in the Gospels, and they deny that the story has any significance beyond that of a divine and human life. These two schools stand in direct antagonism, one asserting that everything is legend, the other declaring that everything is history. Between them lie many phases of opinion generally labelled "freethinking", which regard the life-story as partly legendary and partly historical, but offer no definite and rational method of interpretation, no adequate explanation of the complex whole. And we also find, within the limits of the Christian Church, a large and ever-increasing number of faithful and devout Christians of refined intelligence, men and women who are earnest in their faith and religious in their aspirations, but who see in the Gospel story more than the history of a single divine Man, They allege — defending their position from the received Scriptures — that the story of the Christ has a deeper and more significant meaning than lies on the surface; while they maintain the historical character of Jesus, they at the same time declare that THE CHRIST is more than the man Jesus, and has a mystical meaning. In support of this contention they point to such phrases [Page 107] as that used by S. Paul: "My little children, of whom I travail in birth again until Christ be formed in you"; [Gal., iv,19.] here S. Paul obviously cannot refer to a historical Jesus, but to some forth-putting from the human soul which is to him the shaping of Christ therein. Again the same teacher declares that though he had known Christ after the flesh yet from henceforth he would know him thus no more; [II.Cor., v, 16.] obviously implying that while he recognised the Christ of the flesh — Jesus — there was a higher view to which he had attained which threw into the shade the historical Christ. This is the view which many are seeking in our own days, and — faced by the facts of Comparative Religion, puzzled by the contradictions of the Gospels, confused by problems they cannot solve so long as they are tied down to the mere surface meanings of their Scripture — they cry despairingly that the letter killeth while the spirit giveth life, and seek to trace some deep and wide significance in a story which is as old as the religions of the world, and has always served as the very centre and life of every religion in which it has reappeared. These struggling thinkers, too unrelated and indefinite to be spoken of as forming a school, seem to stretch out a hand on [Page 108] one side to those who think that all is legend, asking them to accept a historical basis; on the other side they say to their fellow Christians that there is a growing danger lest, in clinging to a literal and unique meaning, which cannot be defended before the increasing knowledge of the day, the spiritual meaning should be entirely lost. There is a danger of losing "the story of the Christ," with that thought of the Christ which has been the support and inspiration of millions of noble lives in East and West, though the Christ be called by other names and worshipped under other forms; a danger lest the pearl of great price should escape from our hold, and man be left the poorer for evermore.What is needed, in order that this danger may be averted, is to disentangle the different threads in the story of the Christ, and to lay them side by side — the thread of history, the thread of legend, the thread of mysticism. These have been intertwined into a single strand, to the great loss of the thoughtful, and in disentangling them we shall find that the story becomes more, not less, valuable as knowledge is added to it, and that here, as in all that is basically of the truth, the brighter the light thrown upon it the greater the beauty that is revealed. [Page 109]We will study first the historical Christ; secondly, the mythic Christ; thirdly, the mystic Christ. And we shall find that elements drawn from all these make up the Jesus Christ of the Churches. They all enter into the composition of the grandiose and pathetic Figure which dominates the thoughts and the emotions of Christendom, the Man of Borrows, the Saviour, the Lover and Lord of Men. The thread of the life-story of Jesus is one which may be disentangled from those with which it is intertwined without any great difficulty. We may fairly here aid our study by reference to those records of the past which experts can reverify for themselves, and from which certain details regarding the Hebrew Teacher have been given to the world by H. P. Blavatsky and by others who are experts in occult investigation. Now in the minds of many there is apt to arise a challenge when this word "expert" is used in connection with occultism. Yet it only means a person who by special study, by special training, has accumulated a special kind of knowledge, and has developed powers that enable him [Page 110] to give an opinion founded on his own individual knowledge of the subject with which he is dealing. Just as we speak of Huxley as an expert in biology, as we speak of a Senior Wrangler as an expert in mathematics, or of Lyell as an expert in geology, so we may fairly call a man an expert in occultism who has first mastered intellectually certain fundamental theories of the constitution of man and the universe, and secondly has developed within himself the powers that are latent in everyone — and are capable of being developed by those who give themselves to appropriate studies — capacities which enable him to examine for himself the more obscure processes of nature. As a man may be born with a mathematical faculty, and by training that faculty year after year may immensely increase his mathematical capacity, so may a man be born with certain faculties within him, faculties belonging to the Soul, which he can develop by training and by discipline. When, having developed those faculties, he applies them to the study of the invisible world, such a man becomes an expert in Occult Science, and such a man can at his will reverify the records to which I have referred. Such reverification is as much out of the reach of the ordinary person as a mathematical [Page 111] book written in the symbols of the higher mathematics is out of the reach of those who are untrained in mathematical science. There is nothing exclusive in the knowledge save as every science is exclusive; those who are born with a faculty, and train the faculty, can master its appropriate science, while those who start in life without any faculty, or those who do not develop it if they have it, must be content to remain in ignorance. These are the rules everywhere of the obtaining of knowledge, in Occultism as in every other science. The occult records partly endorse the story told in the Gospels, and partly do not endorse it; they show us the life, and thus enable us to disentangle it from the myths which are intertwined therewith. The child whose Jewish name has been turned into that of Jesus was born in Palestine B.C. 105, during the consulate of Publius Rutilius Rufus and Gnaeus Mallius Maximus. His parents were well-born though poor, and he was educated in a knowledge of the Hebrew Scriptures. His fervent devotion and a gravity beyond his years led his parents to dedicate him to the religious and ascetic life, and soon after a visit to Jerusalem, in which the extraordinary intelligence and eagerness for knowledge of the youth were shown [Page 112] in his seeking of the doctors in the Temple, he was sent to be trained in an Essene community in the southern Judaean desert. When he had reached the age of nineteen he went on to the Essene monastery near Mount Serbal, a monastery which was much visited by learned men travelling from Persia and India to Egypt, and where a magnificent library of occult works — many of them Indian of the Trans-Himalayan regions — had been established. From this seat of mystic learning he proceeded later to Egypt. He had been fully instructed in the secret teachings which were the real fount of life among the Essenes, and was initiated in Egypt as a disciple of that one sublime Lodge from which every great religion has its Founder. For Egypt has remained one of the world-centres of the true Mysteries, whereof all semi-public Mysteries are the faint and far-off reflections. The Mysteries spoken of in history as Egyptian were the shadows of the true things "in the Mount", and there the young Hebrew received the solemn consecration which prepared him for the Royal Priesthood he was later to attain. So superhumanly pure and so full of devotion was he, that in his gracious manhood he stood out pre-eminently from the severe and somewhat fanatical ascetics among whom [Page 113] he had been trained, shedding on the stern Jews around him the fragrance of a gentle and tender wisdom, as a rose-tree strangely planted in a desert would shed its sweetness on the barrenness around. The fair and stately grace of his white purity was round him as a radiant moonlit halo, and his words, though few, were ever sweet and loving, winning even the most harsh to a temporary gentleness, and the most rigid to a passing softness. Thus he lived through nine-and-twenty years of mortal life, growing from grace to grace. A mighty "Son of God" was to take flesh upon earth, a supreme Teacher, "full of grace and truth" — [S. John, i, 14. ] One in whom the Divine Wisdom abode in fullest measure, who was verily "the Word" incarnate, Light and Life in outpouring richness, a very Fountain of the Waters of Life. Lord of Compassion and of Wisdom — such was His name — and from His dwelling in the Secret Places He came forth into the world of men. For Him was needed an earthly tabernacle, a human form, the body of a man, and who so fit to yield his body in glad and willing service to One before whom Angels and men bow down in lowliest reverence, as this Hebrew of the Hebrews, this purest and noblest of "the Perfect", whose spotless body and stainless mind offered the best that humanity could bring ? The man Jesus yielded himself a willing sacrifice, "offered himself without spot" to the Lord of Love, who took unto Himself that pure form as tabernacle, and dwelt therein for three years of mortal life. This epoch is marked in the traditions embodied in the Gospels as that of the Baptism of Jesus, when the Spirit was seen "descending from heaven like a dove, and it abode upon Him",[Ibid., i, 32. ] [Page 115] and a celestial voice proclaimed Him as the beloved Son, to whom men should give ear. Truly was He the beloved Son in whom the Father was well-pleased, [S. Matt., iii, 17 ] and from that time forward "Jesus began to preach", [Ibid., iv. 17. ] and was that wondrous mystery, "God manifest in the flesh" [ I. Tim., iii, 16] — not unique in that He was God, for: "Is it not written in your law, I said, Ye are Gods ? If he called them Gods, unto whom the word of God came, and the scripture cannot be broken; say ye of Him, whom the Father hath sanctified and sent into the world, Thou blasphemest; because I said, I am the Son of God ?" [S. John x, 34-86. ] Truly all men are Gods, in respect to the Spirit within them, but not in all is the Godhead manifested, as in that well-beloved Son of the Most High. To that manifested Presence the name of "the Christ" may rightly be given, and it was He who lived and moved in the form of the man Jesus over the hills and plains of Palestine, teaching, healing diseases, and gathering round Him as disciples a few of the more advanced souls. The rare charm of His royal love, outpouring from Him as rays from a sun, drew round Him the suffering, the weary, and the oppressed, and the [Page 116] subtly tender magic of His gentle wisdom purified, ennobled, and sweetened the lives that came into contact with His own. By parable and luminous imagery He taught the uninstructed crowds who pressed around Him, and, using the powers of the free Spirit, He healed many a disease by word or touch, reinforcing the magnetic energies belonging to His pure body with the compelling force of His inner life. Rejected by His Essene brethren among whom He first laboured — whose arguments against His purposed life of loving labour are summarised in the story of the temptation — because he carried to the people the spiritual wisdom that they regarded as their proudest and most secret treasure, and because His all-embracing love drew within its circle the outcast and the degraded — ever loving in the lowest as in the highest, the Divine Self — He saw gathering round Him all too quickly the dark clouds of hatred and suspicion. The teachers and rulers of His nation soon came to eye Him with jealousy and anger; His spirituality was a constant reproach to their materialism, His power a constant, though silent, exposure of their weakness. Three years had scarcely passed since His baptism when the gathering storm outbroke, and the human body of Jesus paid the penalty for [Page 117] enshrining the glorious Presence of a Teacher more than man. The little band of chosen disciples whom He had selected as repositories of His teachings were thus deprived of their Master's physical presence ere they had assimilated His instructions, but they were souls of high and advanced type, ready to learn the Wisdom, and fit to hand it on to lesser men. Most receptive of all was that "disciple whom Jesus loved", young, eager, and fervid, profoundly devoted to his Master, and sharing His spirit of all-embracing love. He represented, through the century that followed the physical departure of the Christ, the spirit of mystic devotion that sought the exstasis, the vision of and the union with the Divine, while the later great Apostle, S. Paul, represented the wisdom side of the Mysteries. 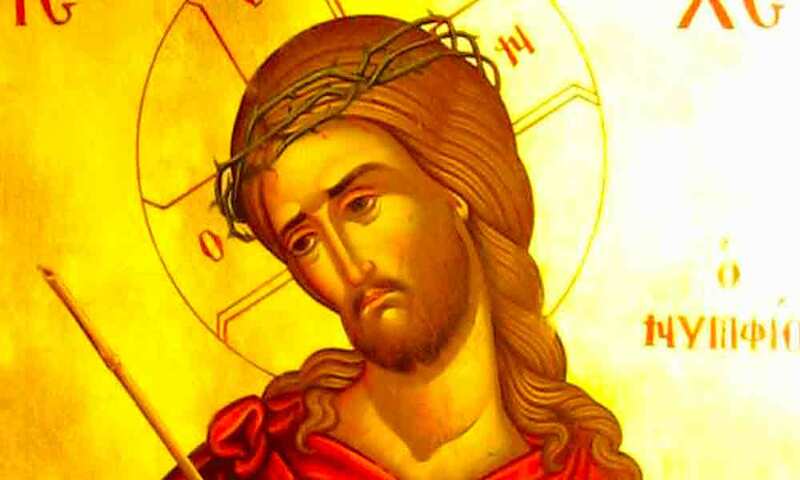 The Master did not forget His promise to come to them after the world had lost sight of Him,[S. John, xiv, 18, 19. ] and for something over fifty years He visited them in His subtle spiritual body, continuing the teachings He had begun while with them, and training them in a knowledge of occult truths. They lived together, for the most part, in a retired spot on the outskirts of Judaea, attracting [Page 118] no attention among the many apparently similar communities of the time, studying the profound truths He taught them and acquiring "the gifts of the Spirit". These inner instructions, commenced during His physical life among them and carried on after He had left the body, formed the basis of the "Mysteries of Jesus", which we have seen in early Church History, and gave the inner life which was the nucleus round which gathered the heterogeneous materials which formed ecclesiastical Christianity. Thereafter, being fully instructed, the apostles went forth to preach, ever aided by their Master. Moreover these same disciples and their earliest colleagues wrote down from memory all the public sayings and parables of the Master that they had heard, and collected with great eagerness any reports they could find, writing down these also, and circulating them all among those who gradually attached themselves to their small community. Various collections were made, any member writing down what he himself remembered, and adding selections from the accounts of others. The inner teachings, given by the Christ to His chosen ones, were not written down, but were taught orally to those deemed worthy to receive them, to students who formed small communities for leading a retired life, and remained in touch with the central body. The historical Christ, then, is a glorious Being belonging to the great spiritual hierarchy that guides the spiritual evolution of humanity, who used for some three years the human body of the [Page 121] disciple Jesus; who spent the last of these three years in public teaching throughout Judaea and Samaria; who was a healer of diseases and performed other remarkable occult works; who gathered round Him a small band of disciples whom He instructed in the deeper truths of the spiritual life; who drew men to Him by the singular love and tenderness and the rich wisdom that breathed from His Person; and who was finally put to death for blasphemy, for teaching the inherent Divinity of Himself and of all men. He came to give a new impulse of spiritual life to the world; to re-issue the inner teachings affecting spiritual life; to mark out again the narrow ancient way; to proclaim the existence of the "Kingdom of Heaven", of the Initiation which admits to that knowledge of God which is eternal life; and to admit a few to that Kingdom who should be able to teach others. Round this glorious Figure gathered the myths which united Him to the long array of His predecessors, the myths telling in allegory the story of all such lives, as they symbolise the work of the Logos in the Kosmos and the higher evolution of the individual human soul. Source: Excerpted from ESOTERIC CHRISTIANITY or THE LESSER MYSTERIES by ANNIE BESANT, (Third Impression) The Theosophical Publishing House Adyar, Chennai (Madras), India, Reprinted 1914. This text is in public domain and reproduced and reformatted by Jayaram V for Hinduwebsite.com. While we have made every effort to reproduce the text correctly we do not accept any responsibility for any errors or omissions or inaccuracies in the reproduction of this text. If you want to quote this text as a reference please check hard copy edition of the book.